The snack industry is relatively young, if you think about it. 150 years ago, if you wanted a snack, you had your choice of bread (and maybe butter), an apple (if you had an apple tree), maybe a homemade cookie or homemade doughnut, or maybe a glass of milk. I imagine that most of the time, if you declared that you wanted a snack, you'd be told that you'd spoil your appetite for the next meal if you ate anything. And yet, today, snack foods take up a large chunk of the grocery aisles, and the consumers' dollars. In my own quest to keep my grocery spending in check, I make most of our snacks. I don't make chips or crackers (at least not very often), as those are so time-consuming to make. So I try to find other snacky foods that satisfy the same type of cravings. Nuts make very healthy snack material. but they're expensive. Seeds, however, have many of the same nutrients and snack appeal, but at a much reduced cost. 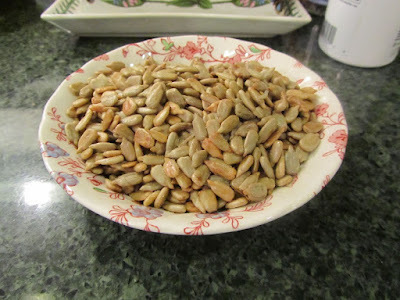 I've told you that I buy raw sunflower seeds, then pan-roast them at home, myself. I spend $1.34/lb for sunflower seeds, putting them at the high-end of what I find acceptable in expense for snack foods (but still okay with me, as they are so nutritious). These aren't pumpkin seeds. (But home-roasted pumpkin seeds from your Jack-o-lantern are also a super cheap snack food.) These are the seeds from winter squash, 2 small Delicata squash and 1 acorn squash. I save the uncleaned seeds in the refrigerator, in a small bowl of water, up to 1 week, until I have enough seeds to make it worth my time to clean them and roast them. 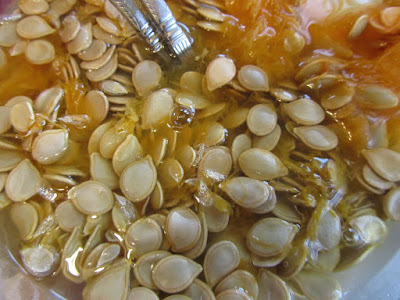 It took me a week to cook 3 squash and accumulate enough seeds to roast squash seeds this week. To clean and roast, I dump them into a colander in the sink, and under running water I separate the pulp from the seeds. When clean, I toss briefly with oil, right in the colander. Then spread on a baking sheet and roast in a 350 degree oven, for about 10 minutes, remove from oven and stir, and roast for 5-minute increments, stirring between, until they are just golden. Sprinkle with salt and they make a yummy and super healthy snack (high in minerals, notably magnesium and zinc). If you have previously been throwing out the seeds from winter squash, then these would be a basically-free snack. For that salty, cracker or chip-like crispy/crunchy snack, I turn to garlic toast. As I'm cleaning out my freezer, I went looking for bread products in there. I found 1 hamburger bun, which had been frozen, thawed and frozen again, a potato roll from the sandwich lunch we had a couple of weeks ago, and this half-slice of homemade French bread. In a small dish, I mixed some butter, garlic powder and salt. then spread this on the halves of rolls/buns and bread. Broiled for a couple of minutes, until toasty. And since I sometimes want a sweet snack, I made muffins, using up the last of the baked acorn squash from lunch and breakfast this week. 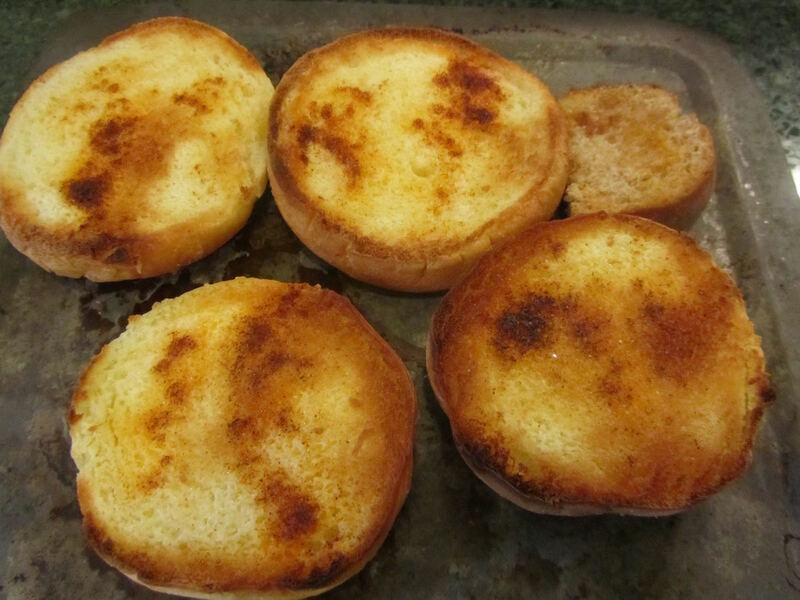 Quick breads also make good snack material, and are easy to make. I spent about 1 hour making snacks the other day, and prepared about 2 days of snacking stuff for my family (we're big snackers, here, and there are 5 of us). What I made not only was less expensive than commercial snack foods, but much healthier than anything I could buy in a store. I have never thought of making garlic toast a snack, but we love it and my kids would eat it up. Now I'm kicking myself for passing by the cart of reduced to .25 hamburger buns at Aldi yesterday. :( Maybe I will go by today and see if any are left. It's not so frugal for me (using gluten-free bread), but I don't snack like the kids anyway, lol. Also, if I don't get to roasting squash or pumpkin seeds, but they get composted, and the next year they sprout and give us free squash or pumpkin, then that's obviously not going to waste either! One winter, I dumped some acorn squash seeds into the compost, and I wound up with several squash plants scattered around the yard the next year -- and about 40 squash to harvest! Oooh, yeah, if you get back to Aldi and they still have the reduced hamburger buns, those would make good snacks! You could also do cheese toast on those for weekend lunch, or mini pizzas. Using our air popper or our stove top popper. You can decide on the amount and kind of fats( butter/ olive oil) , seasonings and salts or none. I mentioned this to a friend when she ran an after school program. We love popcorn, here, to. I use a heavy-bottomed saucepan on the stove, and pop in oil. Then sprinkle with popcorn salt. Mini loaves would be nice, too, especially if I thought I'd need quick little gifts. Your lemon loaf sounds delicious! I think you're right that a loaf could be stored in the freezer in less room than muffins. A loaf could still be sliced and frozen, for easier access to one or two slices at a time. Hmmm, I think I'll try that next time I make a large batch of banana or other quick bread. My parents have said the same thing about snacks when they were growing up. There really were no snacks...if they were hungry between meals they would seek out a leftover biscuit or piece of cornbread from the previous meal and a glass of milk, or in season they would look for berries on the vine or peaches, plums, pears or apples on the trees, or they have even talked about cracking hickory nuts or walnuts. They did have pies, cakes and cookies sometimes, but these were portioned out as desserts after supper and not available as snacks in between meals. Mom has mentioned her grandmother popping popcorn for then for a snack before bedtime sometimes. Compared to most households today, that was a totally different lifestyle. I wonder what most kids today would think of cornbread and milk as a snack? Thank you for the instructions on cleaning and roasting seeds. We will be carving a Jack-o-lantern, and now I can't wait to roast the seeds! 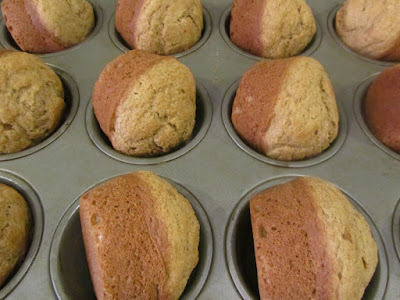 I use quick breads and muffins as snacks frequently in our house also. They are easy, quick, versatile and always welcomed. You mentioned the the garlic toast as a snack, and it reminded me of an unconventional snack I made for myself a couple of seeks ago. At my office, I noticed a coworker eating some Parmesan/ranch snack crackers in the lunch room and for some reason that started a craving. While watching our grocery budget closely, I resisted the impulse to splurge on a small $3.00 box of the snack crackers. Later at home, I was still thinking about the snack. I broiled two slices of butter French bread and cut those into strips. Then I poured myself a bit of homemade Ranch dressing and sprinkled with some Parmesan cheese. Unconventional, but it definitely satisfied my craving. Yesterday, my daughters and I were talking about acceptable and unacceptable (to a preschooler) snacks. One daughter teaches Sunday school to the young kids, and they usually have graham crackers as their snack. I asked her what they'd think if she brought in slices of bread, or glasses of milk, or apples, for their snack. She thinks those items as snacks would be hard to sell to a crowd of kids who have had packaged fruit snacks, granola bars, etc all of their young lives. The apples would have to be those sliced and packaged ones, we thought. And even then, some of these kids don't like those individual boxes of raisins as snacks, so the apples may not be hugely popular, either. It's a different generation. I like how you conquered your craving for something similar to your co-worker's snack. That sounds delicious! And a very inventive way to approximate what you'd seen and wanted. Good job! Snacks are on my mind a lot -- we like them (maybe too much) but I hate the expense. At the same time, I have a hard time making snacks that we love but don't love too much (even more than the packaged stuff). And -- if it goes away super fast, I sometimes question the value of time invested making said snacks (which is weird, because I don't have the same concerns over making dinner, even though it always takes less time to consume than it does to cook!). If I don't squirrel away baked goods, they are gone in no time. I love to make homemade Chex mix, but I know the portions we eat are way out of control. So mostly I try to limit the number of snacks I make, sometimes buy cheese crackers and mostly try to keep lots of fruit on hand. Oh, and I try to have peanuts and/or almonds in the pantry, too. For a while we were making popcorn regularly and that was yummy and we could easily control how much we ate just by limiting how much was made. Your comment about the preschoolers reminded me of snacks we often had as kids -- celery w/peanut butter, applesauce, cheese and crackers, carrot sticks. I need to get back in the habit of cutting up veggies to snack on. And making a dip -- that part is important too! Also regarding the preschoolers -- I think it's astonishing how OFTEN children are fed in the US. Our storytimes at the library are not very long--maybe 60 minutes MAX if you consider the accompanying art program. But more likely much less, especially if you attend a baby or toddler program. So many people want to feed their kids at some point during the program. Even people just visiting the library have a bag of goldfish or a tupperware of cereal or something to help the kiddo make it. And. I absolutely understand that kids often eat less food, more often. But so many times it seems less like kids are given food because they are hungry and more in an attempt to control behavior. Is there a way to make Chex mix in significantly smaller portions? Does it freeze very well? Don't know if either of those would help with the portioning out. I understand what you mean, though. When I bake cookies, I have to freeze and/or "hide" most of them. Otherwise no one (including me) thinks to eat anything else. So, instead one of the things that works for me is to only have the highly palatable snacks around a couple of days per week. Then the other days, I make things like fruit or veggies and dip, or nuts, as the snacks for the day. One of my daughters is home from classes two days per week, and I've found that I eat much healthier on those days, because I am planning out her lunch/snacks already, and it's simpler to just make enough for both of us. It's funny how we will go to the trouble to make quality items for our kids/spouse, but when it's just ourselves, we don't make the effort. I'm trying to change that this year, though. Here's a way to think about time invested in making snacks -- what would you have to pay for the exact same item, using high quality ingredients, if you bought that food item? How long would you have to work, after taxes, to pay for that item? So, if I make a batch of banana bread on a Saturday afternoon, when the whole family is around, will this be a frugal use of my time? If I bought that same banana bread, made with real butter, lots of bananas, some whole wheat flour, I imagine it would cost about $6 a loaf, at a whole foods type of store. I would have to work at a paying job, for 30 minutes to pay for that loaf, after taxes/deductions. And that doesn't take into consideration that I would have my travel time to work, any time spent getting dressed especially for a job. And my car needs taking to get gas more often, the more often I travel to a job. If I make that loaf of banana bread, myself, my hands-on time is about 15-20 minutes. And I can work in my kitchen, with my music playing, while standing in my comfiest shoes, and no make-up or any sort of hairstyle for the day, other than hair pulled back in a ponytail, and contentedly mix away, knowing that there isn't a boss standing around, looking over my shoulder. So, when using that thought process concerning making snacks at home, I rarely choose really time-consuming snacks to make. I try to find as simple and easy of a snack to prepare, for the most part. I think when there are preferred snacks that can't be easily made at home, then finding the most economical source is your best bet for saving money on snack foods. And then, cut back in other areas of the food budget, to compensate. Which I think you're doing very well with! yum, I love spring rolls. Why do they taste so much better wrapped in a rice wrapper, than if the filling is in a pile on the plate? Quality of ingredients is an issue with me,as well. I try to make that a priority in our budget. Yeah, the rationing of the more expensive snacks or ingredients simply has to be done in our house. Like how I "push" the sunflower seeds, but save the almonds for recipes where almonds simply work better, or have the preferred texture or flavor. My hubby makes roasted squash seeds, too, and we think they taste better than pumpkin seeds. I have made homemade potato chips in the microwave--sounds weird, I know, but they are really good. Like kettle chips. I'm not that fond of using a mandoline, though, so I don't do it often. Your comment about your daughter's snack items for Sunday School was interesting. 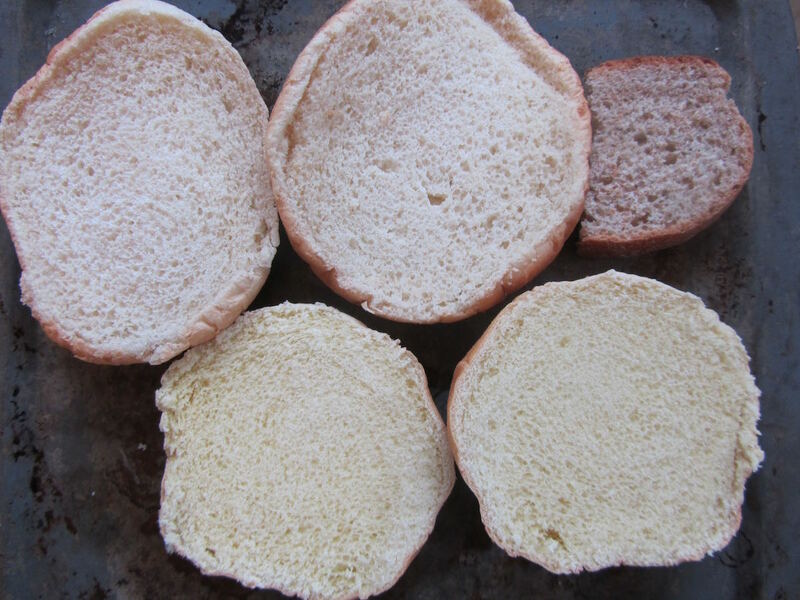 My kids have told me that have had negative comments about some of the items they bring in for lunch (homemade muffins, boxes of raisins, wheat bread for their sandwiches). My daughter's friend wanted a taste of something she had (maybe a muffin? Not sure ... ) and the friend didn't like it--thankfully, my daughter's reaction was "what a waste of a good snack" instead of being embarrassed about her food item. I notice that the positive comments from my kid's friends seem to come from kids whose moms do more cooking from scratch. In our area, prepackaged food seems to be the norm. I'm going to have to try microwave potato chips this year. I don't have a mandoline, but my food processor might be able to do a thin enough slice. Mandolines terrify me. I have the mental image of the tops of my knuckles being scraped off, or tips of my fingers. Your kids sound like delightful, respectful, sweet young people. You and your husband have done a great job raising them. We like our little people! OK, my son is almost as tall as I am ... and sometimes I feel like I am starting completely from scratch with teaching him table manners ... but they really are enjoyable. You know, I'm never very successful roasting pumpkin seeds. It seems like they just need a little while longer and then they're burnt. Oh, well. I'm a snacker. Always have been. Probably always will be. My mother said as a baby that I wanted to eat frequently and I haven't grown out of it. Whether eating most of your food in three meals a day or 6-8 times spread out over the day, it's all in what you choose and you always have some good ideas. Fortunately, on the pumpkin seeds, go get another chance each year! Burnt pumpkin seeds are not too appetizing, are they? With our kids, I have 2 snackers and 1 3-squares a day. So, I have to have healthy snack stuff, but substantial enough meals for the one who wants his 3 basic meals, and nothing more. I wonder if your sisters were also snackers, or if they tended towards the 3 basic meals per day. Crumbled cornbread in a cup with buttermilk was a snack for my Mom when she was growing up. Her parents were born in 1895 and 1900. I imagine what your mom had, then, was similar to what a lot of children had for snacks -- simple enough that a child could put this together for themselves. When I was very young, about 4, I remember being allowed to make myself bread and butter for a snack. It was easy, I didn't need to bother my mom when she was busy, and it didn't make a huge mess (aside from the mess that any 4 year old would make doing practically anything for themselves). Snacks when I was a kid in the '80's was bread with molasses. My mom completely skipped the "junk food" aisle when grocery shopping and we knew better then to ask to go down it :). Funnily enough, when I moved away to college and it was just my kid sister left at home, Friday night became junk food night. Still a little bitter about that lol. Bread with molasses -- did that taste cake-like? When my older sister and I were small, my mom only bought cereal like shredded wheat, or puffed rice/wheat , no sugar cereals. Our much younger brother , many years later, got cereals like Captain Crunch, Cocoa Crispies and Fruit Loops. I remember a tinge of outrage that he got the "kid" cereals, but my sis and I got the "healthier" ones. I think parents loosen up a bit with successive children. I just harvested pumpkins from my garden. I've never had pumpkin seeds. Now would be the perfect time to try them. Do you eat the whole seed or crack open the shell & just eat the insides? you can eat them with the shells on! It would be a whole lot of work to crack the shells!! But they're even sold, shell-still-on, packaged by a company called David. The shells of pumpkin seeds are not as hard or thick as sunflower seeds. Very, very yummy! And high in zinc and magnesium. 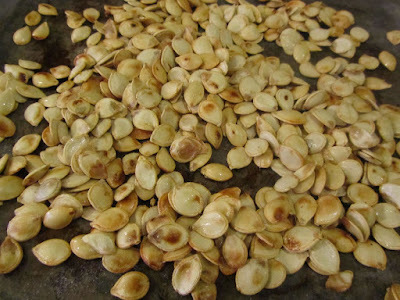 now, I'm hungry for more squash/pumpkin seeds.Guess I'll have to roast another squash tomorrow! When I was a kid my mom always baker everything from scratch, I remember one time for some reason she bought store bought cookies & I thought it was a real treat. If only I knew how special it was that she always baked! I am not much of a baker myself & I miss the home baked treats. Not as much now, but when my kids were younger, they thought store-bought bread was a treat! I guess "treat" is a word that we easily attach to something that we don't have very often.